Only 292 of these production supercars were ever built by Porsche. Their timeless design, state-of-the-art systems, and superior driving characteristics make them one of the greatest sports cars of all time. Never federalized and imported to the US, Canepa was instrumental in passing of the Show or Display legislation, which allowed these sought after vehicles to be driven in the United States for the first time. Bruce Canepa was fortunate to be one of those lucky enough to have purchased a 959 in 1988. The opportunity to finally drive the 959 on U.S. roads led Bruce to evaluate and determine what components and systems should be upgraded. Had Porsche continued production of the 959, there is no doubt that this evolution would have played a major role in its future. The Canepa Gen I car stemmed from the creation of an emission legal 959 that benefited from increased power through updated technology. The Canepa Gen II delivered even more performance. Now, after decades of continuous research and development, Canepa has produced its next state-of-the-art Porsche 959: faster, smoother, better handling. 15 years ago Canepa’s initial Gen I engine upgrade yielded 576 hp. A few years later the Gen II cars developed 640hp. Now for 2016, the all new Canepa Gen III system will put out a staggering 763 horsepower and 635 ft/lb of torque. This from a car that originally had only 450hp. The Gen III engine system includes eliminating the factory sequential turbo system and installation of an all new parellel twin-turbo system including new Borg-Warner turbos, integrated wastegates, and titanium heat shields. Cam timing is optimized in addition to blueprinting all intake and exhaust valve springs. New intake runners are matched to proprietary Green air filters made just for this application. Upgraded fuel system, EGR, modern engine management system with ADL, F1 technology engine wiring harnesses, high output ignition system, upgraded alternator charge system and battery module, air pumps and air regulator valves, spark plugs, idle control valve, sensors, connectors, harness shielding, switches, adapters, hardware, etc. A completely new stainless steel exhaust system was created by Canepa for the application. The exhaust is fitted with our new bypass system producing increased horsepower and a more aggressive engine note at the flick of a dash mounted switch. In addition the entire clutch system has been modified and upgraded to improve pedal feel and actuation. This includes an improved pressure plate, disc, and modified clutch pedal assembly. Toward the end of 959 production, Porsche built twenty-nine 959 S. The 959 S extended the performance characteristics of the 959, including a much evolved suspension system. This Sport model eliminated the adjustable ride height and shock dampening, and all of their related hydraulic system, lines, and pumps. This shedding of material provided a substantial weight savings. 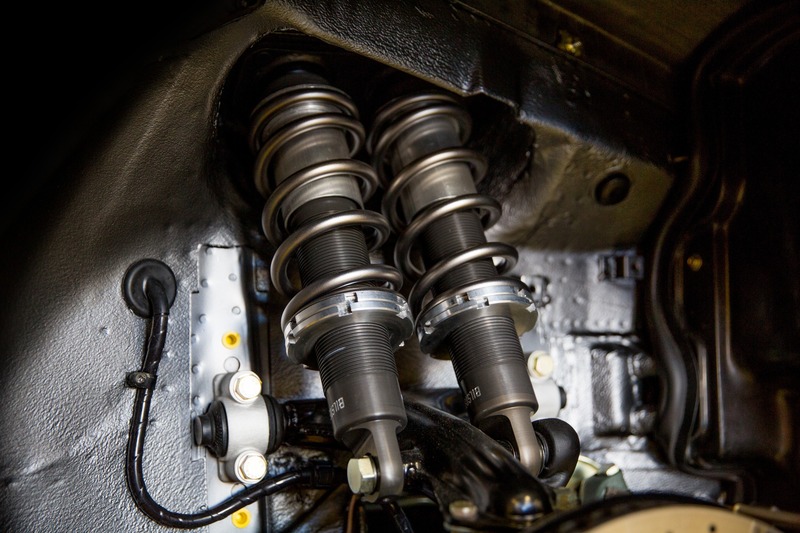 In its place, Porsche installed an improved coil-over spring/shock assembly comprised of dual coil-over springs with gas shocks on each front corner, and dual gas shocks with a single coil-over spring on each rear corner. The Canepa suspension upgrade begins with the factory S specification, and then incorporates modern suspension technology including a newly patented gas strut design and titanium coil-over spring componentry. Greatly improved low speed and high-speed handling. Smoother ride quality on all types of road surfaces. Lighter components, including the elimination of the entire hydraulic system. 1” lower ride height that is standard to the 959S, while still providing ample ground clearance for real world driving. With these suspension upgrades, the 959 matches the handling and ride quality of any modern day supercar. 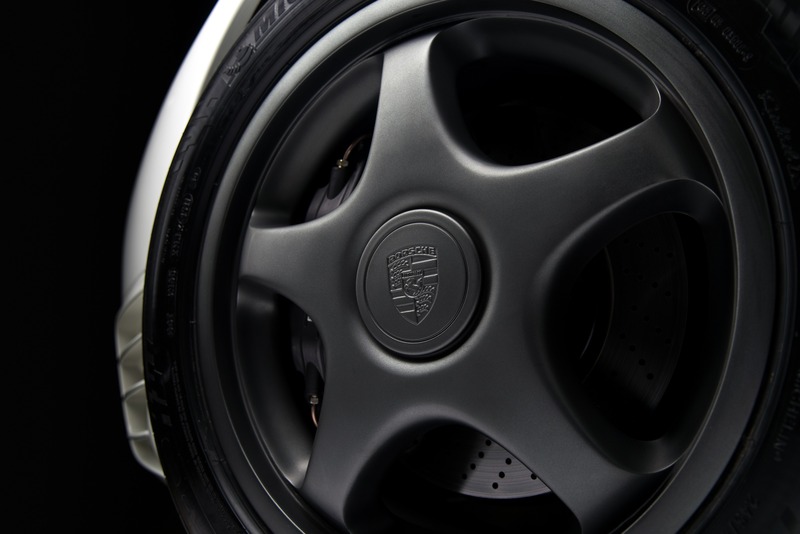 Working with Michelin we have developed a tire and wheel upgrade that allows the 959 to benefit from the latest in tire technology, while still using the original 959 wheel. Porsche’s plan for the 959 was to go to wider rear tire, and working with Porsche and Michelin we are able to achieve their intended result. The improvement in grip is substantial. 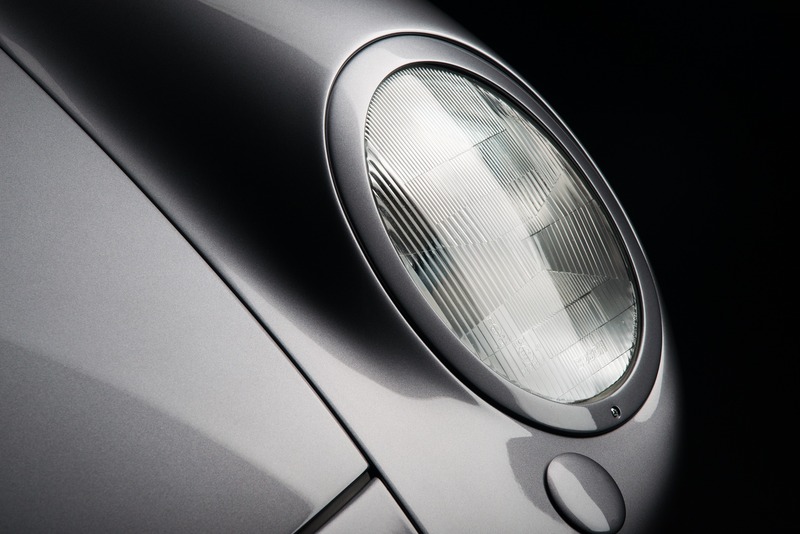 We contacted the original supplier of the 959 headlights, and developed a headlight upgrade that brings the 959 illumination up to the standards of a current supercar. This is achieved using the original housing to maintain a stock appearance on the exterior.